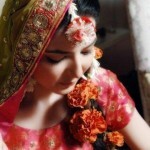 Gorgeous and dazzling Bridal Mehndi Wear In Multi Color . You need to wear lot of special on this special event.There are many girls including cousins, sisters from both side bride and groom. Here we are giving you some ideas for your traditional mehndi function. So all future brides who still not buy their mehndi dress they should not get worry and instead of buying designer outfit it is advisable that they should consider these designs. 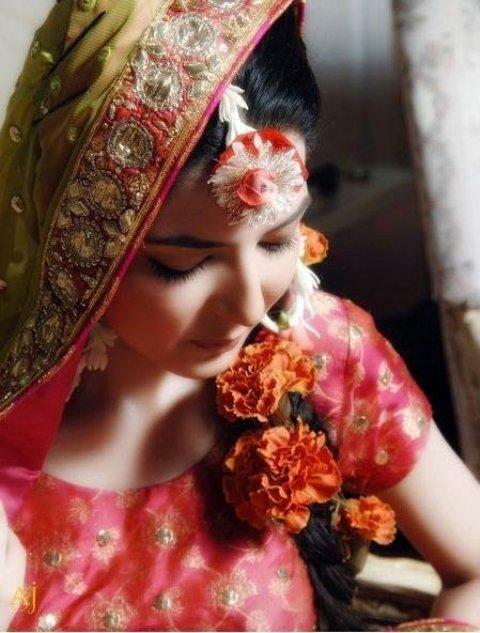 Within the limited budget, brides can easily design their mehndi outfit. 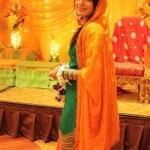 Some great ideas for your mehndi function. 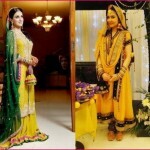 Each dress is special in their own way, some are multicolored dresses and some are made in combination of yellow and green / pink / orange.New and latest Traditional Colorful Dress For Mehndi Function.